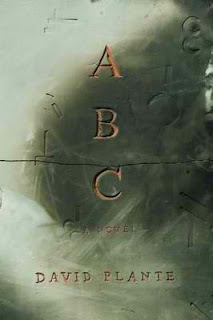 ABC is definitely one of the most original and unique pieces of literature I've ever read; however half of the novel is memorable while the other half is easily forgettable. At first, directly after his son Harry's accident, ABC grows weary with details about Gerard's mourning and grief, when all of a sudden the novel takes an intriguing turn. Gerard revisits the "scene of the crime" so to speak, and we learn that Harry's accident was actually set up on purpose by the local kids who use the old deserted house as a hangout. Gerard becomes obsessed with the question of "Why?" when pondering how the daily, normal lives of others can have such a large, grand butterfly effect. Once Gerard learns that the piece of paper with the Sanskrit alphabet was left behind a local girl who uses the old house to study in, his journey is in full effect, and the novel is once again brought to life. Although the dictionary entries and blurbs about the alphabet throughout ABC are tedious and tiring, the novel redeems itself on the subject on mourning and on coping with death as a whole. I was particularly touched by Catherine's descent and tirade into mourning her daughter. Catherine has many great points when speaking to Gerard about love and death. ABC may be the perfect novel for the griever; it's definitely very touching and brings to light validities one normally wouldn't consider unless you lost a person to an accident of sorts. David Plante's newest book is his own memoir on grief called The Pure Lover (2010).